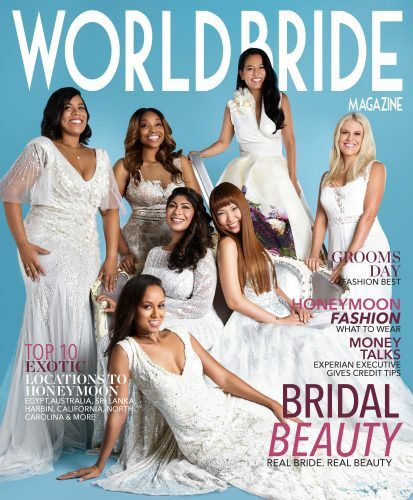 Real Brides enter a once in a lifetime opportunity to be featured as a Super Model in World Bride Magazine. 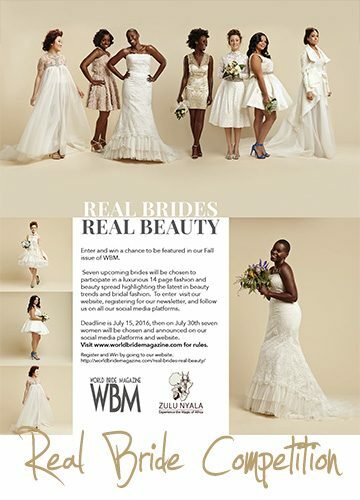 Real brides can now have an opportunity to represent their nationality and their unique beauty and sense of style. 7 women will be chosen to come to New York City and will spend the day shooting with our experts. Entry for Fall issue closes April 19, 2018. Shoot date May 19, 2018, in New York City. • Beauty makeover, hair, makeup, and nails. • Gowns from the top designer in the industry. SPECIAL GIFT: EACH BRIDE WILL RECEIVE ONE GIFT CERTIFICATE TO CLAIM ONE PAIR OF BRIDAL SHOES FOR THEIR WEDDING DAY SPONSORED BY BADGLEY MISCHKA. 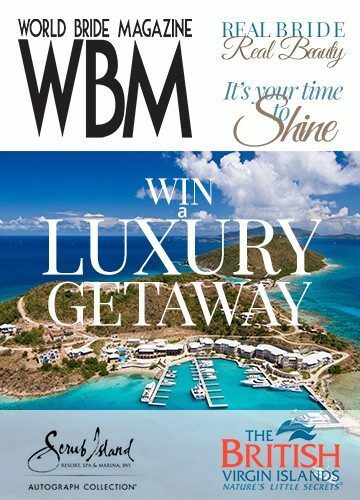 All winners will be responsible for airfare, hotel, and ground transportation to and from New York to the shoot, WBM is not responsible for airfare, hotel, and ground transportation. Meals will be provided on the day of the shoot along with wardrobe the day of the shoot. 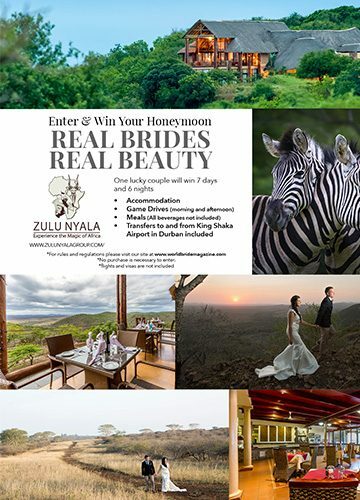 The second way to enter is by joining us at one of the local bridal shows coming to a city near you produced by the Great Bridal Expo. Get your complimentary tickets by visiting their site. Catch one of our editors and tell us why you should be featured on our 2018 cover. 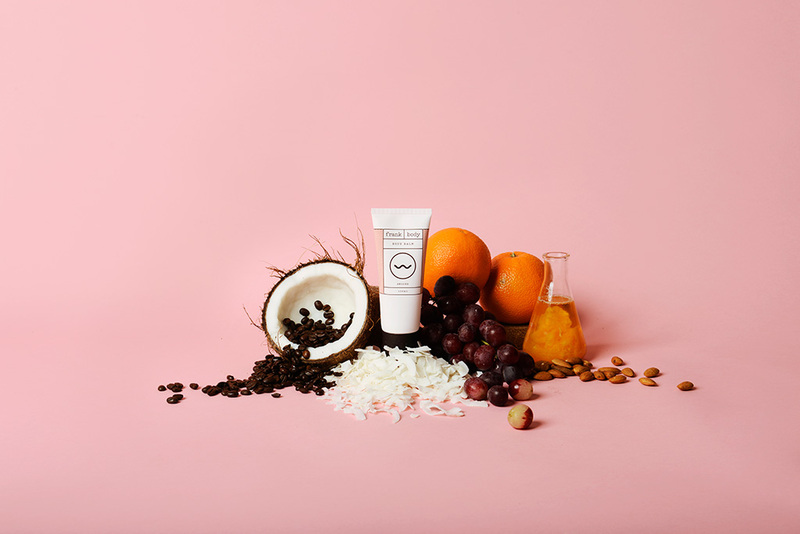 Our Beauty Sponsors are world renown brands of the beauty and fashion industry. Our 2015 Winners! 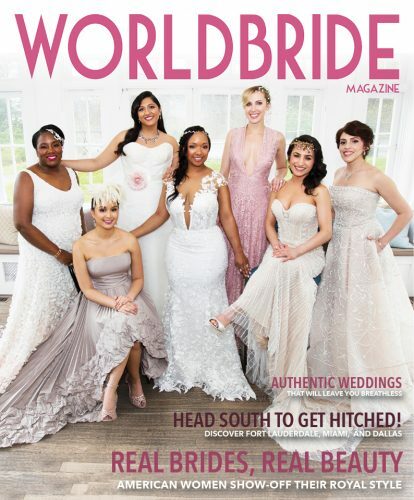 We are so proud of our 7 beauties..
Our honeymoon trip winner: British Virgin Islands, BVI- Scrub Island, 4 days and 3 nights, presented to you by WBM & The British Virgin Island Tourism Board.